At a recent Michigan Press Association candidate forum, Calley suggested Schuette had shielded millions of dollars in real estate transactions in the U.S. Virgin Islands from public view. He later wrote that Schuette’s “first instinct was to lie” about the transactions, in a guest commentary piece for Bridge. A spokesman for Schuette acknowledged that Schuette and his sisters inherited property on St. John, part of the U.S. territory island chain, and in Colorado after the deaths of their mother, Esther, and stepfather, Carl Gerstacker, a former Dow Chemical Co. chairman. Schuette spokesman John Sellek said the real estate was not part of a blind trust that the Michigan Attorney General voluntarily set up to protect his assets while serving in state government. Inherited real estate holdings are unlikely to be a conflict of interest with his position, and thus it was not necessary to include them in a blind trust, according to media reports that quoted a Michigan State University finance professor and that Sellek referenced in a May 11 press release. Schuette’s campaign did not disclose the property to Bridge Magazine earlier this year, when it sought details of all candidates’ finances and assets — including real estate. He noted then that he placed his assets in a blind trust. Following the April tax deadline, Bridge made a second request of the four Republican candidates for governor — Schuette, Calley, state Sen. Patrick Colbeck and Saginaw physician Jim Hines — for details about their finances and their 2017 income tax returns. Here’s what the candidates have said about transparency, and what they gave to Bridge by Monday’s request deadline. Calley has released his tax returns for 2016 and 2017, and other financial information to Bridge. In response to Bridge’s second request, he released his 2017 federal tax return, filed jointly with his spouse, state Rep. Julie Calley, including $181,032 in adjusted gross income. At the MPA forum, Calley criticized Schuette for not filling out the financial disclosure form required of federal officeholders, and for not previously disclosing the Virgin Islands real estate transactions. Schuette has repeatedly promised increased government transparency on the campaign trail and has said he’d make requiring candidates to submit personal financial disclosures a priority. In response to Bridge’s first request, Calley released his 2016 federal tax return and the asset disclosure forms required of federal candidates. Colbeck released his 2017 federal income tax returns, filed jointly with his wife Angela Colbeck, in response to Bridge’s latest request. 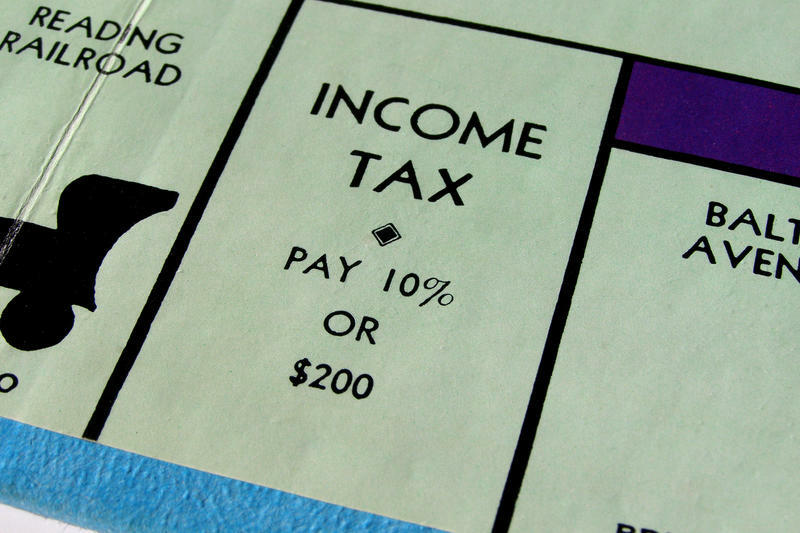 The couple reported $70,137 in adjusted gross income. Colbeck earns $71,685 as a state senator. Colbeck did not disclose any other financial information requested, including information on payments for speeches, real estate or other assets, investments, travel-related reimbursements or gifts. He “will consider releasing more information after the primary,” spokeswoman AnneMarie Schieber Dykstra said via email. He did not disclose his tax returns or financial information in response to Bridge’s first request earlier this year. At the MPA forum, Colbeck told an audience that he and his wife liquidated their retirement assets to run for office and he took a pay cut to become a state legislator. “This is not something we are doing to financially enrich ourselves,” Colbeck said, adding that a bigger issue to him is former lawmakers who are term-limited out of the Legislature not having to disclose their finances as they push for legislation in new roles outside the Capitol. $214,721 in wages from Hines’ medical practice, Valley OB-GYN. $30,223 in interest from savings accounts. $47,823 in dividends from investments and stocks. $22,613 in capital gains from selling stocks. $238,611 in rental real estate and trusts. Six real estate properties valuing $2.5 to $3 million in total. Other assets totaling $8 million to $9 million, including investments, savings accounts and shares in a surgical center and flying club. No gifts over $500, honoraria or travel reimbursements in 2016, 2017 or 2018. Hines had also released financial information in response to Bridge’s first request, including a self-created financial disclosure and his 2016 tax return, filed jointly with his wife. Schuette has advocated for more ethics and transparency among state elected leaders, including financial disclosure laws. At the MPA forum, he called on candidates to release income tax returns, as he has done every year as state Attorney General. In response to a question from the event’s moderator, he added: “Then when we pass the law on financial disclosure, I'll do that." “I will actively push, encourage and make sure we sign financial disclosure laws here in the state of Michigan,” Schuette said. Earlier this year, Schuette released tax returns and financial information to Bridge, though he did not disclose his assets, citing the blind trust he voluntarily created as Attorney General. He failed at that time to note the Virgin Islands properties revealed this month by Calley’s campaign. Real estate holdings were among the items Bridge asked for in its first request. Schuette reported no payments for speeches. Campaign spokesman John Sellek told Bridge that any travel costs as Attorney General or gifts worth more than $500 would need to be requested from his office under the Freedom of Information Act; Sellek said he believed Schuette has not received such gifts. The home where Schuette and his wife Cynthia live in Midland. Sellek did not disclose the value of the property, which has an assessed value of $344,000, according to Midland city property records. Assessed values are estimated at half of the property’s actual value in Michigan, which means Schuette’s home is worth roughly $688,000. Schuette’s vacation home in northern Michigan; the location was not disclosed. A vacation home in Colorado shared with his sisters; the location was not disclosed. His wife, Cynthia Schuette, owns a share of a family vacation home in northern Michigan. Sellek told Bridge he did not yet know the value of the properties. Schuette and his sisters, through a company registered to Schuette using his home address in Midland called Vircom LLC, sold four of the inherited properties in the U.S. Virgin Islands in 2012 and 2013 for $7.2 million. Sellek previously said Schuette and his sisters each have a one-third stake in Vircom, so Schuette did not solely benefit from the $7.2 million sale. 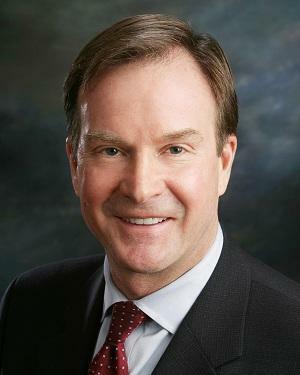 Schuette personally holds two empty parcels on St. John that he inherited through another Midland-based company registered to him, Ditleff Point Lots — Group B LLC, that are listed for sale for a combined $4 million, Sellek said. In addition, Schuette and his sisters divide a one-third ownership stake in an inherited family house in the Virgin Islands through Vircom, Sellek said. Stateside's conversation with Republican strategist Matt Marsden. The four Republicans who want to be your next Governor held a debate last night in Grand Rapids on WOOD TV. It was the first time Attorney General Bill Schuette, Lieutenant Governor Brian Calley, State Senator Patrick Colbeck, and Saginaw obstetrician Dr. Jim Hines were all together on one stage. Well, whatever your terms, Michigan Attorney General Bill Schuette didn’t do his image any favors during a candidates’ forum four days ago. Lieutenant Governor Brian Calley, his main rival for the Republican nomination for governor, accused him of personally controlling the sale of millions in property he had inherited in the U.S. Virgin Islands. Calley also circulated documents showing that Schuette, who has said that he had placed all his assets in a blind trust, used members of his official staff to witness and notarize the documents transferring the property, apparently on state time.